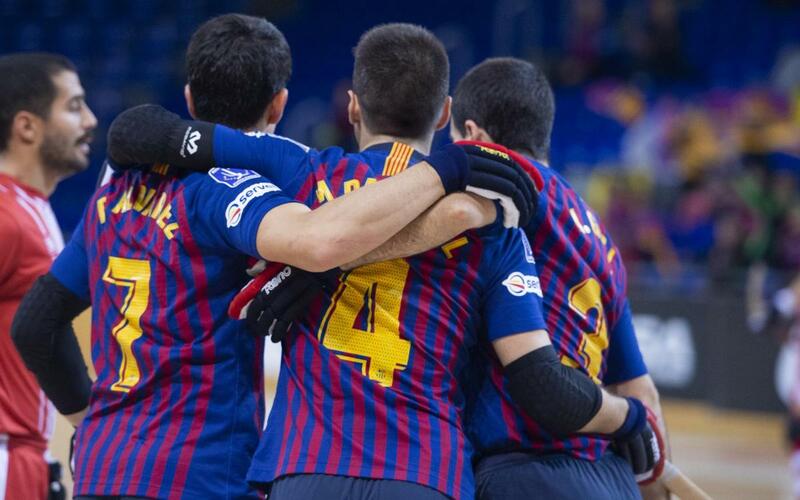 Barça Lassa emerged victorious against Citylift Girona with a 3-0 win in the 9 round of matches in the OK League. A frenetic first half saw both sides come close to opening the scoring with Sergi Fernández in impressive form in goal for the home side in the Palau Blaugrana. After a goalless first half, Sergi Panadero gave Barça the lead just two minutes after the restart. The result was still up in in the air until the 40th minute when Joao doubled the advantage for Edu Castro’s team. Three minutes later Matías Pascual’s effort rounded off the victory for the home side who maintain their three point advantage over nearest rivals Liceo and Caldes. Barça Lassa: Sergi Fernández, Gual, Pablo Álvarez, Bargalló and Panadero –starting five- Pascual, Nil Roca, Alabart. Citylift Girona: Jaume Llaverola, Raul Pelicano, Marc Gómez, Marc Palau and Enric Torner –starting five- Oriol Garcia, Marc Palazón. Goals: 1-0 Panadero (min.27), 2-0 Joao Rodrigues (min. 40), 3-0 Pascual (min. 43).